The love of motoring and watches is inseparable for most motorsport enthusiasts. Both motorsport and the art of watchmaking have grown together since the early twentieth century. There are many legendary motorsport inspired racing chronographs like Tag Huer Monaco, Rolex Daytona and Zenith El-Primero. While we do have modern iterations of these watches today, they are quite pricey for a lot of people. Omologato is one of the very few modern watch companies that truly encapsulate the watchmaking heritage. Most of the brands out there are trying to appeal to everybody, but Omologato is all about mixing motorsports and watches. This brand is a brainchild of Shami Kalra, a motorsport enthusiast at heart. Shami was a corporate designer before and chose Omologato as a vehicle to express his love for motorsports. Looking at their website, we find categories like James Hunt, Maranello, Monza, Road & Racing, Europeans, and Americas. Presently, all their watches use a Quartz movement but they’re soon launching their Automatic lineup, DICORSA. 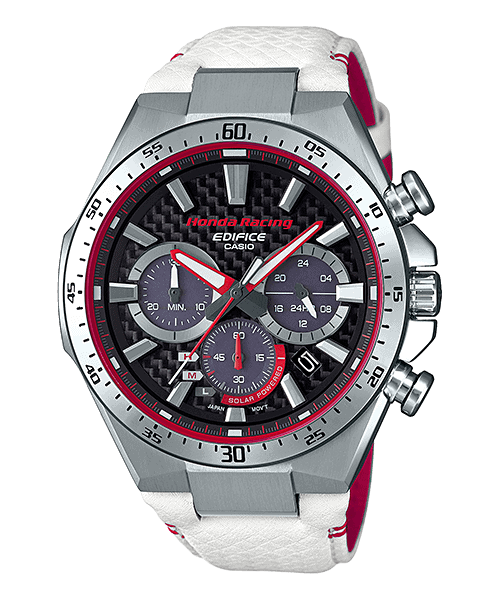 My favourite is their Weissach Watch that pays tribute to the motorsport history of Porsche. This watch ticks all the right boxes. Comes from brand with rich watchmaking history, it’s an automatic chronograph that also has 200m water resistance. 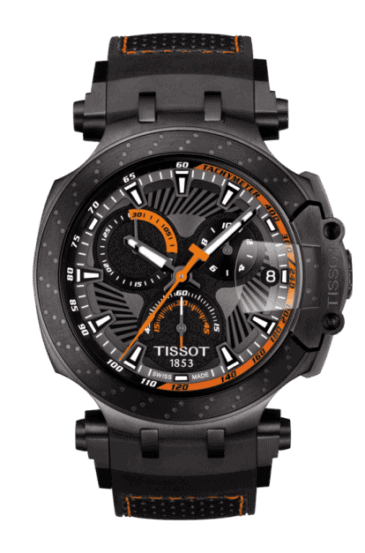 Tissot PRC200 sports line collection has a variety of watches for a different taste. Want it with a leather strap? you got it, want it in a rubber strap? You got it, want it on a bracelet, yep they have it. You won’t have much problem picking one whether you like a sporty or true classic watch. Seiko is the brand that introduced the first Quartz watch in the 1970s. Seiko SPC237P1 is a quartz chronograph. It has a hint of orange on a black and silver dial/case. Unlike most chronographs, this also comes with a date window at 12’o clock mark. Citizen Brysen comes from the Eco-Drive lineup. 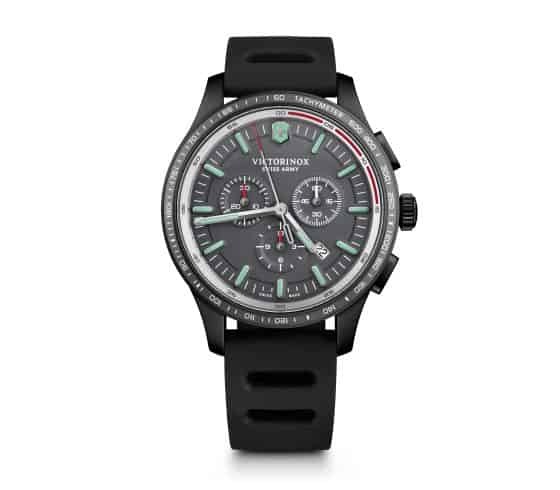 Even though Citizen’s website doesn’t mention it, the designer of this watch truly took inspiration from motor racing. The Edifice lineup is one of the bestselling Casio watch collections. This lineup encompasses latest technology and motor racing design inspiration. All of them are Quartz powered chronograph, but there is a standard, solar powered, and smartphone link range. My favourite is definitely the limited edition Honda Racing and Scuderia Toro Rosso range. My only gripe with Casio Edifice is the case size. All their models are quite chunky, so you’ll either love it or hate it. Seiko Recraft range is a retro modern lineup that is inspired by the 70s. The SSC667 and SSC669 are exactly that, an authentic chronograph from the 70s. It’s a rarity that this watch comes on a Nato strap from the factory. The movement is a quartz solar chronograph. But one interesting thing to note is that the second hand actually sweeps like an automatic watch instead of ticking. Like Omalogato, Autodromo brand is also dedicated to the love of motoring. Autodromo brand is founded by Bradley Prince, who also comes from industrial designing background. Autodromo’s Ford GT Chronograph is truly spectacular. 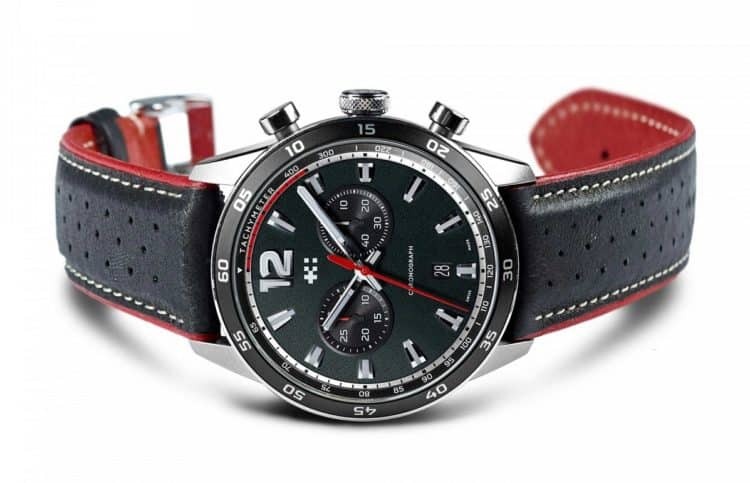 And if you want a something more relaxed, then checkout Autodromo Stradale watch that is inspired from dashboard instruments from Italian sports berlinettas of the late 1950s and early 1960s. The price point of these watches is higher than Omalogato but they do offer automatic movement and sapphire crystal. 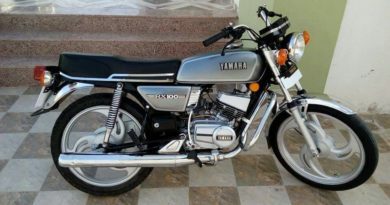 Are you a Moto-GP fan? 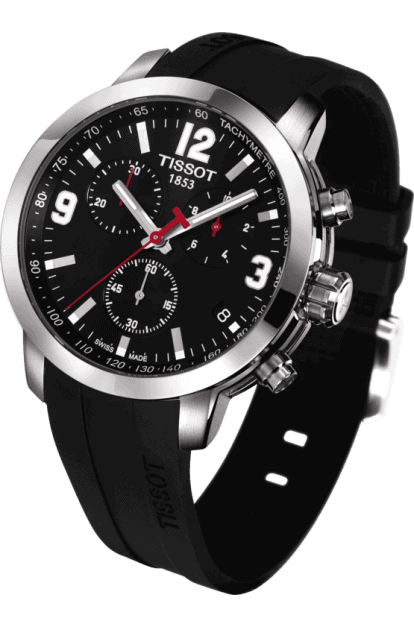 Then Tissot T-Race Moto GP is the perfect watch for you. The design of the watch is quite radical and it’s as sporty as it gets. Even the packaging of this watch is radical. It comes in a box that looks like a helmet. Most of the models are limited-edition (4999 total units). If you really want an automatic movement, then you’re only left with one option in the T-Race lineup. Certina is a lesser know Swiss brand that’s even older than Rolex. It was founded in 1888 by the brothers Adolf and Alfred Kurth. 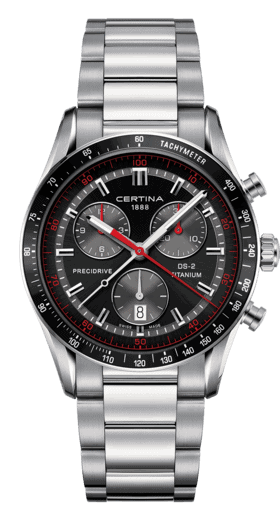 Certina’s latest Sports collection has watches that embodies what chronograph should be all about. The watches in this collection has a different range of formality to it. You can have it subtle or have it in loud yellow colour. Most of the models use Quartz movement but we do get two automatic options. Victorinox is a Swiss brand originated in 1884 and quickly became expert in knife making, especially pocket knives. They transfer this metallurgical skill to watchmaking by manufacturing tough, high quality watches. 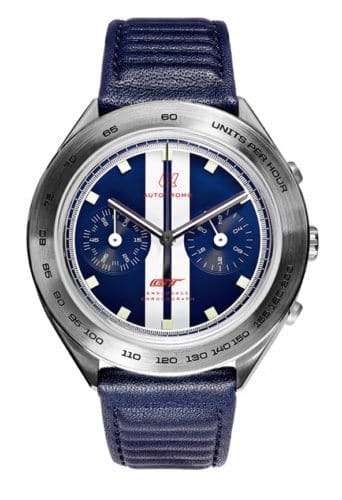 The motorsport fans would really love the Alliance Sport Chrono. It’s available in 5 different styles but I really love the grey colour case with rubber strap. It’s powered by a Quartz movement and comes in 44mm case size. Established in 1892, Hamilton is also a purebred watch brand whose roots lies in USA. Hamilton made its name by supplying timepieces to US railroad when crucial infrastructure was getting built. The Pan Europ line is a reiteration of the 70s Pan-Europ. Its 42mm case size is just about right to cater to a larger audience. Hamilton Pan-Europ uses H 30 automatic movement with day/date complication. Unlike all watches in this list, you don’t get a chronograph option with this one. Christopher Ward is a relatively new British watch brand. It was only in 2005 when they launched their first watch. This brand aims to offer Swiss watch quality at a fractional price. The C7 Rapide Chronograph is a good testament to this. Before Omalogato or Autodromo came along, this was the watch that spoke directly to the motorsport enthusiasts. This chronograph gets a Swiss-made Ronda 5021.D Quartz movement. Straton is a modern Swiss-based watch brand that launched in 2015 with a Kickstarter campaign. This watch brand quickly got love from the fans, thanks to its strong resonance with retro motoring. This does not come as a surprise because the founder of Straton is passionate about classic cars, racing and watches. In fact, his lifestyle fully matches with the brand ethos. 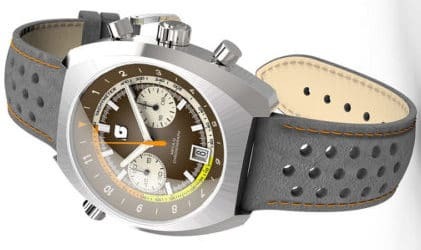 Their first watch, Vintage Driver Chrono laid the foundation for this microbrand. 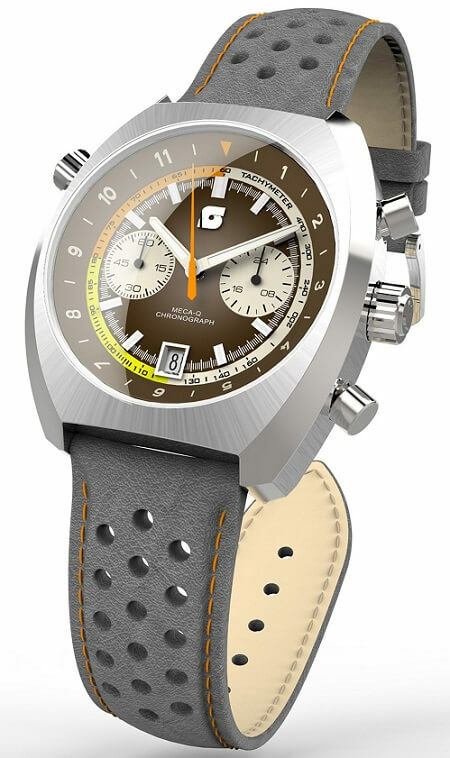 Their latest offering Curve Chrono is also 70s inspired chronograph. Starting from the case design to dial colours, everything about it classy. It comes in 5 style variation. Powering this watch is a Meca-Quartz Seiko movement. This is a hybrid movement with an accuracy of a quartz watch with mechanical chronograph. 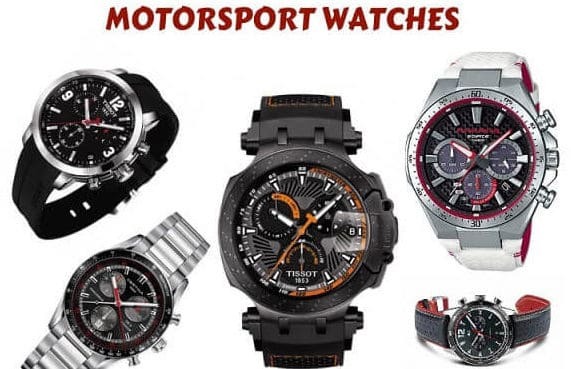 Motorsport inspired watches is a popular niche in the watch industry. In fact, the flood of chronograph watches in the market shows that it has only gained popularity in recent time. 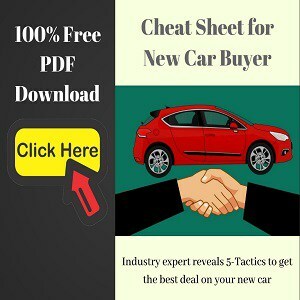 Hopefully, our list helps you pick out gems in this overflooded market. Let us know in the comment section below: which one did you like the most? ← How to Prevent Tank Slapper / Motorcycle Headshake / Speed Wobble?